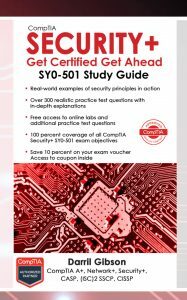 This page is dedicated to sharing errors identified in the SSCP Systems Security Certified Practitioner All-in-One Exam Guide Second Edition . If you know of any errors in the book, please let me know. Page 332 The fourth bullet should refer to the incremental backup on Tuesday, not on Monday. At 1 A.M. on Wednesday morning, the incremental backup backs up only the changes since the last backup (the incremental backup on Tuesday, in this case).